Assembler returns with more challenging levels! 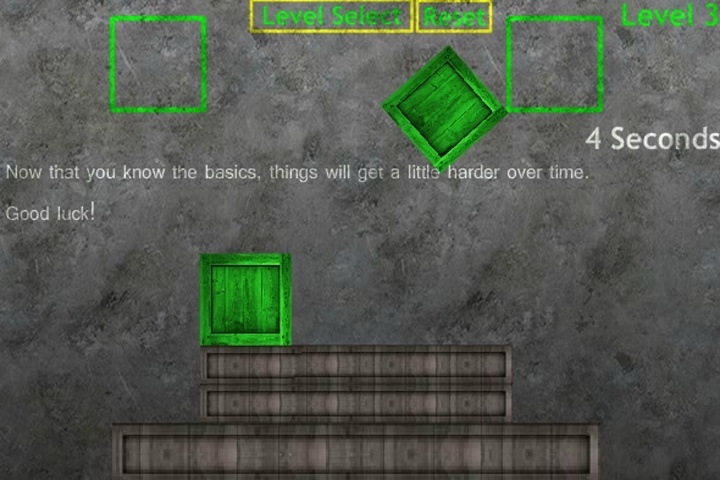 The goal in Assembler is to get the key shape, which is green, into the key shape zone, which is a green outline. There are two types of movable shapes in Assembler key shapes and filler shapes. Key shapes are always colored, while filler shapes are plain. You can move these shapes with the mouse. that the key shapes are in the key shape zones. Key shape zones show up as colored outlines. Static shapes are made of metal and you cannot move them. If you want to play Assembler 2 games online you have come to the right place! GamesLoon adds new Assembler 2 games every week. This is your game portal where you can find the biggest collection of free Assembler 2 games online. Do not forget to rate our Assembler 2 free online games while playing!